France in London | Chomage au Royaume-Uni : la fin d'un El Dorado? Chomage au Royaume-Uni : la fin d'un El Dorado? Today's unemployment in the UK is rising at its fastest rate in 17 years jumping by 164,000 to 1.79 million in the three months to August. Moreover according to some analysts, at the end of the year unemployment could concern more than 2 million, and it is even said that it could raise to 3 million people at the end of 2010. Yet the UK used to be the country to look up to: with only 5 per cent of unemployment, the UK was a real El Dorado in the European Union and even in the G8. That’s why this country had been such an attractive place for young foreign workers. The financial crisis has changed this dramatically. What can now be expected? Is this the end of the UK model? 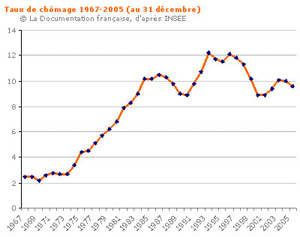 Is the UK enteringa period of high structural unemployment like France did about 40 years ago? Is it the end of the UK model? Who will be most affected? UK: a model for fighting unemployment? UK the country of “unemployment zero”. That was the miracle fulfilled by Tony Blair in the 90's and began by Margaret Tatcher in the 80's: the UK has managed to get unemployment under the 5 per cent threshold whereas in France joblessness seems to be so deeply established it is qualified as structural. Look at the graph and compare it with France: in 2007 there were 1.54 unemployed in the UK, that means about 5 per cent of the active population whereas France got 2.215 million and 9 per cent. As a young person looking for a job, which country would you choose? That’s why when Nicolas Sarkozy got elected as French President he aimed to look up to the UK. He actually said: “ I engage myself to get unemployment back to 5 percent. I want the length of unemployment to be 5 months maximum because I believe full-employment is possible. English people did it, so will we.” In fact the UK situation appeared as a miracle in the European Union and in the G8 and British people were so proud of it. 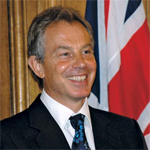 That was Tony Blair’s great accomplishment: it had never been seen before. Their small country appeared like an El Dorado and immigration skyrocketed. Was the United Kingdom such a model? 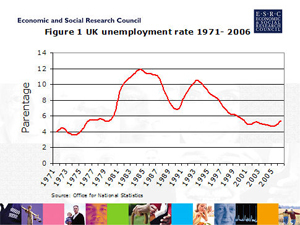 However, one does need to ask exactly how unemployment decreased in the UK? What kind of measures did Tony Blair take? Would such a reform be possible in France? In fact the system is quite simple and mixes economical flexibility and social support. 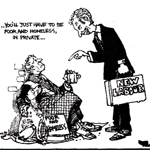 That is the creed of “New Labour” which was created by Tony Blair at this time. It could be put in parallel with the evolution of the Left party in Germany with Gerard Schroder and his plan Hart 4. Unemployed people can be on benefits for a while if they go to a job centre everyday to prove they keep on looking for one. If someone turns out to be too fussy about the offers, he won’t get a penny anymore. 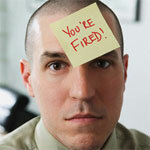 Unemployment benefits can be unlimited in time but goodwill is required. 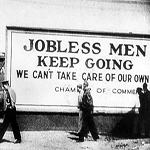 The Left was happy because unemployed people could get some help and the Right was relieved because it was not the beginning of an assisted society. Eventually it works as far as statistics are concerned: unemployment falls, length of unemployment too. 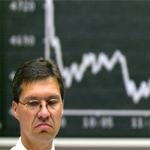 Financial crisis and unemployment increase: The end of an El Dorado ? This major unemployment increase is an effect of the economic downturn, and full effects may concern 2 or 3 million of British workers. A huge challenge for Gordon Brown who is acclaimed as a hero in Europe for his efforts to resolve the crisis in the financial world but not yet in the UK. 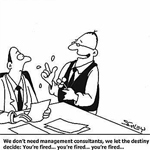 The City is on fire: the bankrupcy of Lehman Brothers emphasizes perfectly the situation: 5.000 redundant employees overnight... and according to Hay Group and Centre for economic and business research, 110.000 redundancies have to be expected in the financial sector. However finance is not the only sector concerned since there are spiral effects. Since the rich workers from the City lost their jobs they can no longer afford nannies and other household staff. Nore can they continue to invest in property, in furniture, vacations... In fact the City used to tap a major economic activity in the UK and so to be partly responsible of the growth of these last years. Plus, the downturn of share prices and the bank crisis, it seems that the whole system is falling down. Even the public sector is touched since 10,000 jobs are to be lost because of budget cuts. Therefore everybody is concerned. Moreover since the cost of living is increasing, this could potentially turn into a situation of social emergency. In fact at the same time inflation has hit a 16 year high of 5.2 per cent, meaning further rises... Is it the beginning of a new Great Depression? We could be pessimistic. It is huge challenge for Gordon Brown who is already facing a strong unpopularity in his country and general scepticism from his own party. His government has made available an extra £100 million for retraining workers who have been victims of redundancies but the UK remains the country which is the most affected by the crisis nowadays. The end of an El Dorado? Thanks to its low unemployment rate, the UK used to be very attractive for foreign workers and turned out to be a very welcoming country. 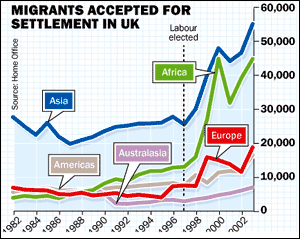 Is the UK victim of this immigration today? This is a widespread idea but in fact immigration has no link with the crisis. However it's sure that the UK will not be able to welcome so many strangers in this situation and its atractivity will seriously decrease. One question can still be asked: What are the recent immigrants going to do? Are they going to stay in the UK despite all of this doom and gloom? Regardless, the UK doesn't appear like an El Dorado anymore, at least for a while. However which country does today? We just can keep on hoping. The situation in France is not as worrying as in the UK or actually not yet. All over the globe the spiral effect is the same: Share prices decrease, firms loose assets, try to take out loans but banks refuse... That's why unemployment increase, hiring stops even bankruptcy occur. In France as in the UK the gloomy spiral is operating, unemployment rises and growth stagnates, even decreases according to the INSEE. In 2007 unemployment in France had been falling under 1.9 million but now employment losses are skyrocketed. Some analysts are saying that the crisis could lead to 210 million of unemployed people all over the world in 2009 that means an increase of 20 millions in only one year... What a bad period! Pourquoi les articles commence en français (dans le résumé) pour ensuite être en anglais lorsqu'on clique dessus ? ?